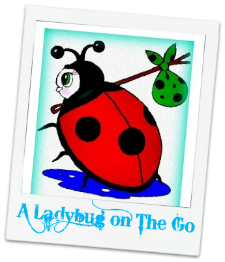 Welcome to this great giveaway hosted by Everything Mommyhood and co-hosted by The Country Gal. Thanks so much to Chicco for this wonderful giveaway prize of the Chicco Liteway Stroller! Get the new mommy in your life something to make their trips out of the house that much easier! Traveling with the right stroller can make all the difference in stress level. The Chicco Liteway is stylish and bold, and the perfect lightweight compact stroller. It's super easy to grab and go without taking up too much space in your trunk or cargo space, all while offering your child a comfortable ride with storage for your purse, diaper bag, shopping bags, and more. Read more at Everything Mommyhood's Chicco Liteway Stroller Review. Now for the Giveaway!!! One lucky winner will receive a Chicco Liteway Stroller in the color of their choice, retailed at $139.99. US Residents 18 and up. One entrant per household. Void where prohibited by law. Winner will be chosen randomly via the Giveaway Tools entry form and will be emailed. Winner will have 48 hours to claim prize before a new winner is chosen. Giveaway ends 2/15/2014 at 11:59pm EST. GOOD LUCK!! Disclosure: Everything Mommyhood received the item(s) mentioned above for the posting and promotion of her review and this giveaway. This blog didn’t receive any monetary compensation for the promotion of this giveaway All opinions are 100% our own and were not influenced in any way. This blog and Everything Mommyhood are not responsible for prize shipment. ChiccoUSA is responsible for prize fulfillment. Facebook, Twitter, Pinterest, Google, and any other social media are not affiliated with this posting or giveaway. This disclosure is done in accordance with the Federal Trade Commission 10 CFR, Part 255 Guides Concerning the use of Endorsements and Testimonials in Advertising. If you have any questions, please email EverythingMommyhood@gmail.com.